The Teamsters Carhaul Division represents nearly 8,000 workers across the United States. These workers have a strong impact on all of our lives, safely transporting all newly manufactured cars and trucks. 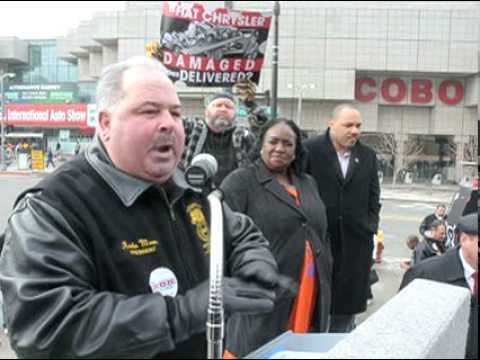 Teamster bargaining unit employees have been doing this work under the National Master Automobile Transporters Agreement (NMATA) since the 1940s. The Carhaul Division coordinates activities and priorities with local and regional representatives. We negotiate and administer NMATA, which applies to vehicle transport nationwide, and ensure that employers meet their commitments to Teamster-represented employees. The Carhaul Division can by filling out the form below or by calling (202) 624-8997. The Teamsters National Automobile Transporters Industry Negotiating Committee (TNATINC) sent the following memo to local unions today after the committee filed unfair labor practice charges against Jack Cooper Transport. The contract books for the national Carhaul contract and three regional supplements are now available to members. In a series of financial transactions, Jack Cooper announced on June 29, 2017 that it had successfully reduced the company's outstanding debt by $300 million which in turn will reduce annual interest by nearly $10 million. Four illegally fired mechanics at Selland Auto Transport have won their jobs back and will receive $36,000 in back pay thanks to the Teamsters Union fighting on their behalf.